We offer the highest level of security packaging available. Once our gold ingot cases are sealed together, two proprietary elements enclose a transparent security film impressed with a luminescent graphic pattern extended underneath the ingot. 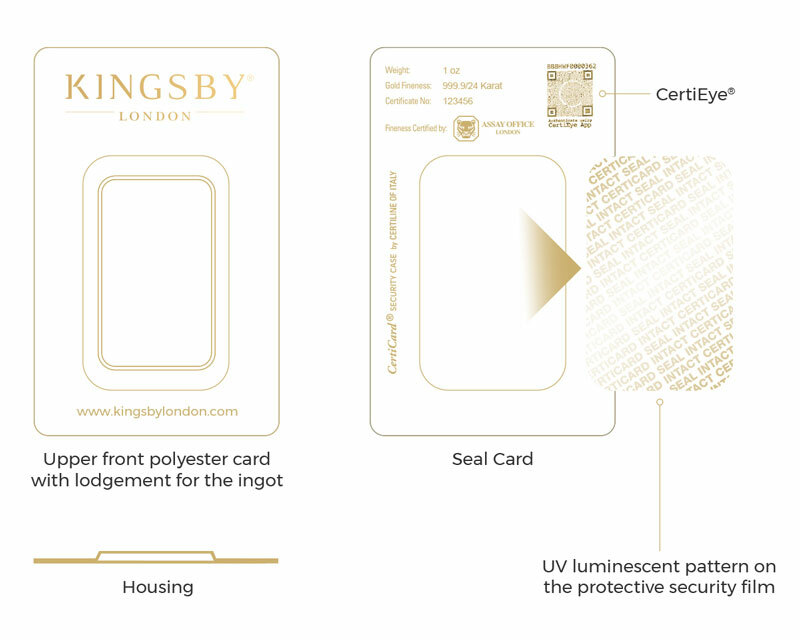 This pattern is detectable at every moment by inspection under UV light through the transparent window on the seal card. The security of this film guarantees the origin of the sealed ingot and the authenticity of the case. Our packaging is made from optical quality polyester which is a material fully recyclable, environmentally friendly and non-toxic. Furthermore, polyester preserves gold, silver and platinum against oxidisation. Anyone who has a Smartphone can simply download our app to authenticate the security mark on our ingot cases at anytime. 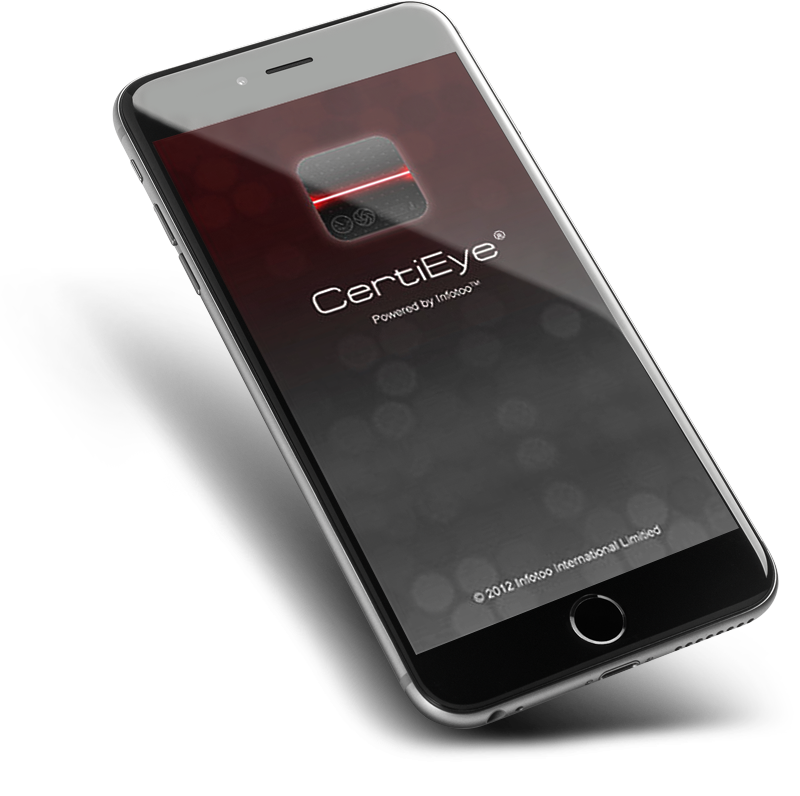 Thanks to the highly optimized algorithms and the high speed of smartphone processors & networks, the authentication results can be obtained within a few seconds, assuring the end consumer that the product is the genuine article.